A New Product Line called Calibre Wings which will be coming this Fall. 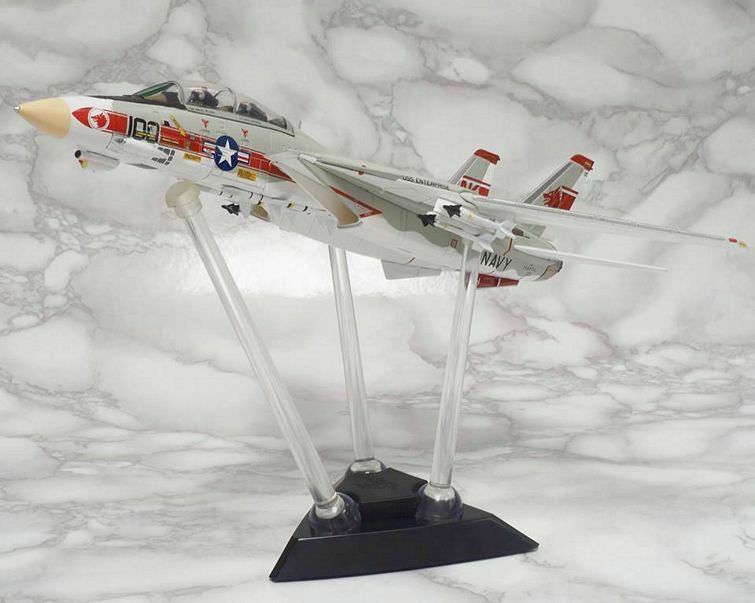 They have been out in the past but only in 1:144 scale but now they have made the jump to the 1:72 scale and they will be coming out with 2 very detailed F-14 Tomcat’s. Attached are some Images of what they will be releasing showing all of the detail that these birds will be coming with. These planes come loaded to the gills with everything you can think of and more. Each production run will only be 1,000 pieces worldwide. Their first 2 releases will be F-14B VF-103 Jolly Rogers Last Flight and the highly sought after F-14A VF-1 Wolf Pack.